Over on Facebook, Matt Cowen tagged me to list, off the top of my head, 10 books that stayed with me in some way and a brief explanation. Matt is a man who knows his stuff. I urge you check out his blog over at Horror Delve (horrordelve.com) if you are interested in finding new, old, popular, and obscure horror stories. This is off the top of my head, and I’m sure I’m leaving out a lot that deserve to be here. I’ve read many lists that other people posted, and their lists were full of “Golden Parachute” books, academic treatises on aging, and no telling how many books that are considered classics but honestly, no one reads very much anymore. (War and Peace, for example.) Those people were liars, more interested in having an impressive list than being honest. I have a few children’s books on my list. Why? Because it is the childhood influences that stick with you, that form you. Who doesn’t still have fond memories of The Cat in The Hat? A lot more than have fond memories of The Lives of the Great Composers by Arnold Schonberg, which someone listed. And frankly, where’s the fun? I’ve expanded my descriptions just a bit from what I wrote on Facebook, and, in no particular order, here we go. 1- The Hitchhiker’s Guide to the Galaxy by Douglas Adams. More than any other book, this influenced my sense of humor and writing style. (So you know who to blame for my blog.) I also read to tatters a couple of copies over the years. Although I think his second book, The Restaurant at the End of the Universe, has the single funniest section (dinner at Milliways) of anything Adams ever wrote, it is this book that is the overall classic. 2- Tales of the Lovecraft Mythos by HP Lovecraft and others. My Grandmother had a whole set of Lovecraft, and one rainy month at summer camp she sent me this book and I was hooked. 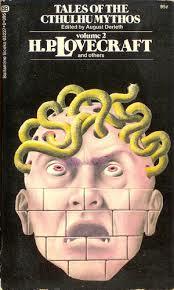 There are HPL books I like more, but this started it all. Plus, it has Notebook Found in a Deserted House by Robert Bloch, which is just superb. (And not on the list, but at about the same time I first read Dracula, which I went on to teach.) Coming in right behind this one is At The Mountains of Madness and The Strange Case of Charles Dexter Ward. 3- To Think That I Saw It On Mulberry Street. Hands down the best Dr.. Seuss book, in my opinion. The power of imagination! 4- The Martian Chronicles. I was always a casual sci-fi fan, but it was this book, given to be by a high school science teacher, that got me hooked on the genius and beauty of Ray Bradbury. The originality of the fates of the first few missions just drips from the pages. 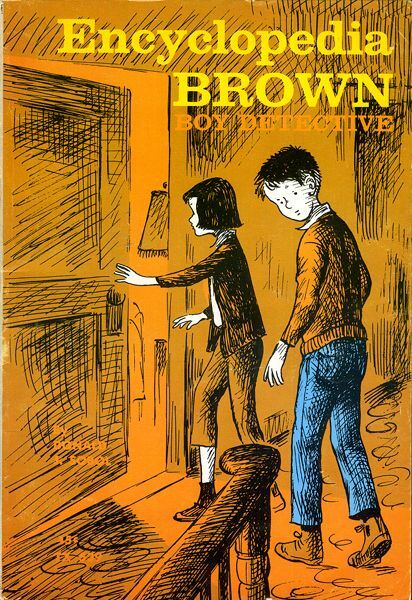 5- Encyclopedia Brown by Donald J. Sobol, any volume. These short mysteries are still in my mind when I write my own Hollywood Russell mystery stories. I still remember the one Encyclopedia solved based on how a man ate his hot dog with mustard on top of the sauerkraut instead of below. 6- Beware The Fish! By Gordon Korman. 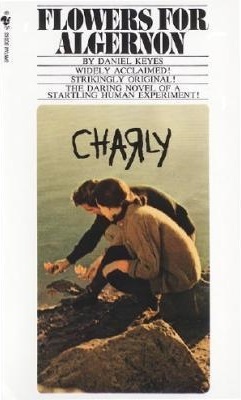 First in a series of sadly out of print YA novels about Bruno and Boots, two kids at a private school in Canada and the hijinks they get into. I always wanted to be one of them. 7- A Connecticut Yankee in King Arthur’s Court by Mark Twain. The Knights of Camelot, time travel, and Mark Twain wit. Looking back, my gateway drug to alternate realities and Quantum Leap. 8- Han Solo at Star’s End/Splinter of the Mind’s Eye. Yes, a pair of Star Wars novels. Not only the first of the “Expanded Universe” books, but, written by Brian Daley and Alan Dean foster, brought a more hard sci-fi tone to the fantasy of Lucas. To this day, I call them the only Star Wars books worth a cent. 9- Of Mice and Men by John Steinbeck. Wow. Just wow. After Steinbeck’s The Grapes of Wrath, this is the ultimate American novel, and I dare you not to cry at the end. 10- Flowers for Algernon by Daniel Keyes. Wow. Just wow. If I could read only one book for the rest of my life, this is it. I’ve not only read it over and over, I taught it five or six times and there is always something new to find in there. More than any other book on this list, I could fill a book about this book. And not a single book credited to the Department of Elder Affairs at a major university among them.